Where to shop these days? Start by recognizing where NOT to shop and that’s probably the utility sector. 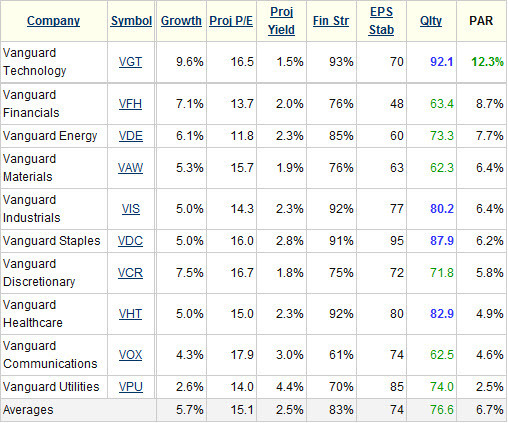 The utility stocks have been en fuego. Don’t shop among the ashes of a bonfire, shop where a flammable pile is smoldering — but distinguish ashes from ignition. The accompanying table has been sorted from highest potential to lowest potential based on projected annual return (PAR) — the return forecast for the ten traditional sectors from S&P. Technology stocks worth a closer look: Apple (AAPL), Cognizant Technology (CTSH), Google (GOOG), EMC (EMC), Oracle (ORCL), Qualcomm (QCOM) and Intel (INTC). ← Fastenal (FAST): Look Out Below?